This book transforms a difficult subject into ideas that every attentive student can understand. Important topics covered include: the microbial world, cellular chemistry, observing microbes through a microscope, microbial growth and reproduction, microbial genetics, bacteria, fungi and protozoa, viruses, the disease process, epidemiology, antimicrobial drugs, practical applications of immunology, infectious diseases, and many others. Also featured are helpful review questions with answers. 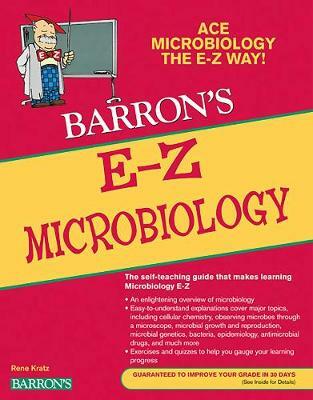 Barron's E-Z Series books are updated, and re-formatted editions of Barron's older and perennially popular Easy Way books. Titles in the new E-Z Series feature extensive two-color treatment, a fresh, modern typeface, and more graphic material than ever. All are self-teaching manuals that cover a wide variety of practical and academic subjects, written on levels that range from senior high school to college-101 standards.